Didn't Eve of Destruction had such a large map in progress? btw how to embed YT videos in forum messages? Ok i see that i underestimated the size, but i don't think this works well with 30-40 players. Not to mention less. The ground texture looks awesome at least from that distance and it's really interesting to see that modders are still able to discover new things. But I don't think 32x32 would be an enjoyable map, especially with just 20 to 30 players. On Bombing the Reich or Kure you already have a looong flight time without any enemy contact and those are tiny maps compared to this monster. There are a lot of other cool things that can be done with maps, just look through Apache Thunder's or fo0k's videos. You embed videos with [video][/video]. ah, it just doesn't work in my Firefox. Yeah 32x32 wouldn't be playable without lots of 'restricted areas'. I'm simply amazed at what the old bf42 engine is capable to do. eYe, don't you know how to increase the plane's maximum altitude? Is this a global setting? Funny that you ask this because on the PrinceUmeboshi server they recently increased the max altitude (server side mod) on Bombing the Reich, Kure, Kikusui Day2 and Bougainville. You can download it on the server's homepage, I tested it but one problem is that the altimeter doesn't go over "2". So you never know when you reach max altitude. And just today they posted on twitter that they fixed Breakthrough which often crashed. I can't belive it's so simple. Shall we apply this tweak as well? Sure, why not, we can always revert it if we don't like it. 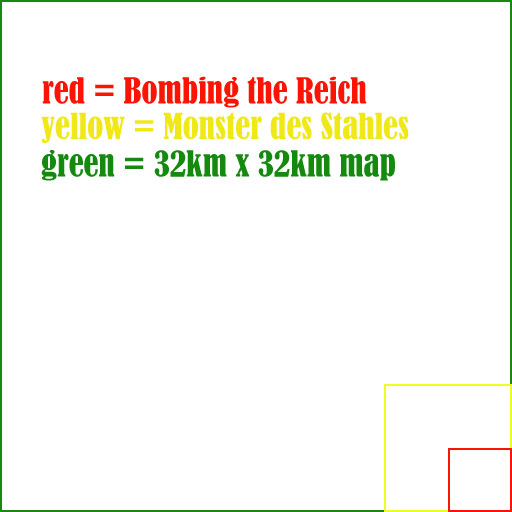 the 32x32 map looks awesome.There could be maps like d-day where the allies push through the bunkers and there would be towns with flags in them and air support and flying would be easier to spot things.And the destroyers can be of some use with maybe a tiny bit of England with an airstrip where c-47s and some gliders can take off. I think that it would be extremely laggy if my ideas were put into a 32x32map because the map in the video (40 thousound feet) has very little objects in there. fo0k has created a new huge map, it looks gorgeous (for BF1942)! Still way too big for my liking though. You can download it here, it's for vanilla. 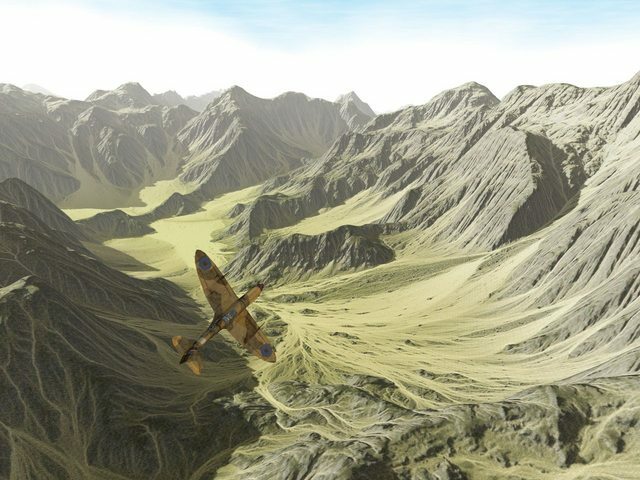 could be good for like advanced objective maps(eg one team needs to destroy a set of objectives in order) or push maps, just to keep the action flowing through the whole map as it progresses..
An alpine landscape with this would be gorgeous! How big is MdS in kilometres?